Now that Microsoft has purchased Nokia’s devices & services business, it’s got me thinking about the cellphones I’ve owned over years. 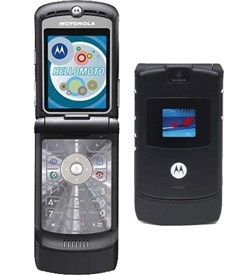 I’d have to dig through a stack of papers or a dusty drawer in our filing cabinet to see just when I got this phone from BellSouth Wireless (pre-Cingular; way pre-AT&T) but it was roughly the year 2000. I know I had graduated from college, Jenn and I were married and that we went to every cellphone store (ha! ), even Sprint with their walkie-talkie-style system(s) before deciding on this phone. I’m pretty sure we used BellSouth Wireless so that here folks could go in on a “family plan” with us. We got consecutive phone numbers (which we still use). Makes things terribly easy to remember when filling out forms or telling other parents our digits. 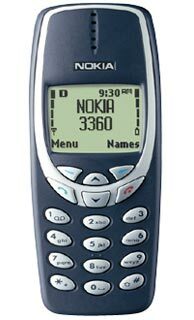 I only made calls and played “Snake” on this phone. I did, however, customize it with a UGA faceplate. From what I hear, modern “smartphones” such as the Moto X and potentially Apple’s rumored “iPHone 5c” will have some colorful options. For a clunky candy bar, this was a fun first phone. No camera, no data plan but “Go Dawgs!” all the way. Of all the phones I’ve had before and since, I think this was my favorite one. It had a colored screen. I can’t seem to track down the first picture I ever took with that phone, but here’s the first one I uploaded to Flickr. I really did dig that phone. It felt great in my hand, it was snappy for its time and it felt like the future when I texted my first photo. I thought this phone looked a little bit like Neo’s phone from the original Matrix movie. I thought this phone would be cool based on the commercials I saw. I thought flip phones would be cool again. 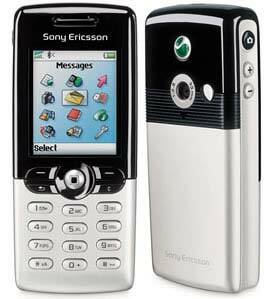 Great in theory but horrible in practice, this was arguably the “best” phone I had owned up to that point, but I remain unconvinced. From the build quality to the buttons to the actual interface & services, this was a janky mess. Now serving as the primary music device in my daughter’s bedroom. Used as a secondary gaming device (mostly Temple Run) for my son when we go on trips. Still with me but the power button doesn’t work. Ready, willing & able to upgrade. I’m actually quite curious about how the new generation of “wearable” devices – along the lines of the Pebble & now Samsung smartwatch – will change my relationship with technology. I’m firmly ensconced in the Apple ecosystem now, but I have an Android test handset for work which I like a fair bit. I’ve even gone so far as to recommend the new Nexus 7 tablet to my father-in-law, despite holding out for a future retina iPad mini for myself. Whatever happens I’m sure I’ll love my next phone just as much as I once loved these phones. How could I not? I have it with me all the time – and that may be the most salient point of all.